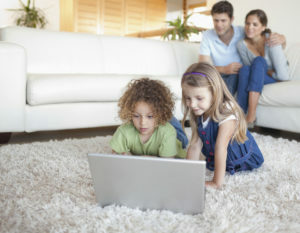 Do you know what is living in your carpet? The causes and effects of allergies have long been known and can be a serious health threat. Allergies are a menace to the immune system, resulting in inflammation of the eyes, nose (rhinitis), lungs (asthma), and skin (eczema). It is estimated that allergies affect some 50% of the population. One controllable culprit in the battle with allergens is the dust mite, a microscopic insect which is found in our indoor environment. We shed skin scales, which in turn, feed the dust mites. Rooms that are used most in the home, for example, your bedroom, are ideal breeding grounds for the dust mite. Steam cleaning your carpet is an excellent way to kill and remove dust mites from your carpet and upholstery is to have Commercial Steam Team steam clean your home or office. Call us today at 952-224-7222 to see how we can help keep your home healthier! https://commercialsteamteam.com/wp-content/uploads/2017/08/cst-logo-300.png 0 0 sc https://commercialsteamteam.com/wp-content/uploads/2017/08/cst-logo-300.png sc2011-10-17 06:38:332017-01-30 21:43:42Do you know what is living in your carpet?